This is Hasselblad 503CX / 503 CXicamera body and Waist Level Finder and A-12 Filmback covering kit. 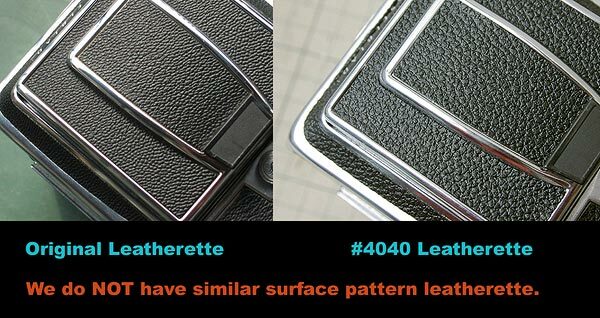 Regrettably we can not find the original emboss pattern leatherette, the surface pattern is NOT similar to the original. 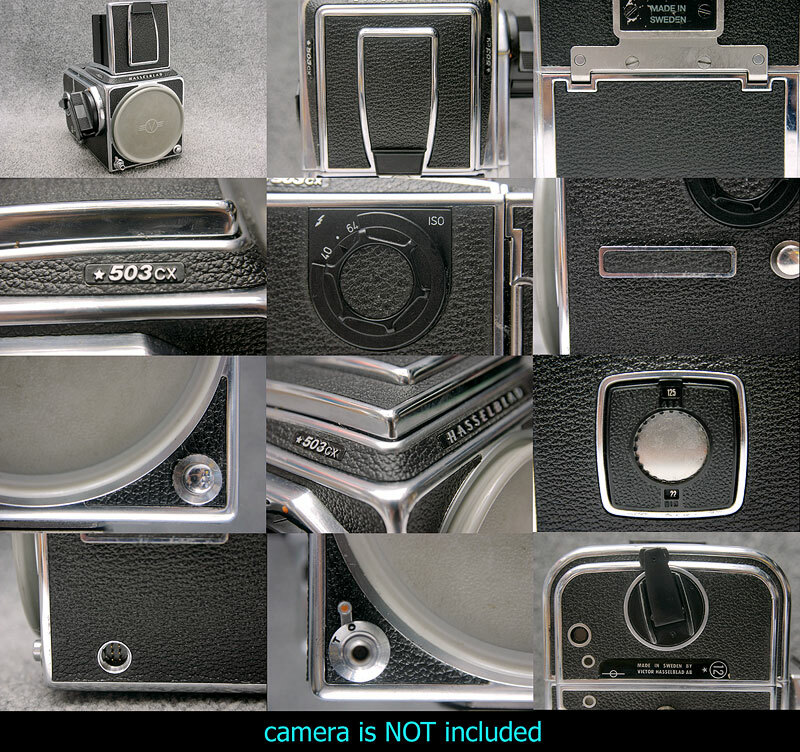 please look at above sample photos and parts list carefully and confirm your Camera and filmback are the same type. How many hours you should spend for measuring Leatherettes sizes and cut them if you do it by yourself? 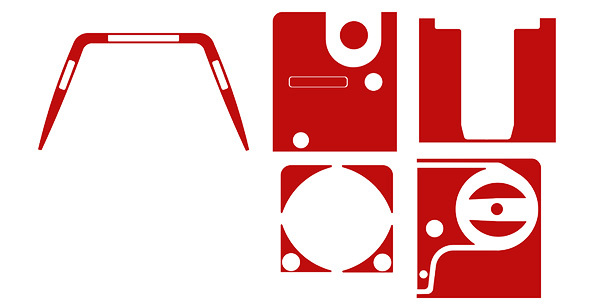 Actually we 2 experienced people spent 12 hours for measuring to make datas of cutting molds. I suppose you would spend 36 hours to measure the accurate leatherettes sizes and would waste a lot of leatherette materials, if you do by yourself. You can save time, this is no hassle. $8 USD for Waist Level Fineder. 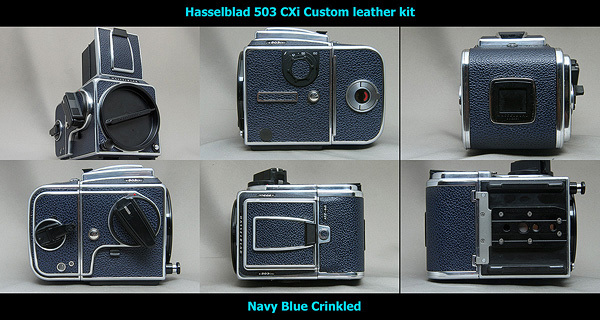 $14 USD for A12 (Old or New) or C12 Film back.